I don't know who is cuter in this photo! Great work. Oh my goodness, this is such a cute photo! What a beautiful dog, beautiful girl... AWESOME photo! awwww this is so sweet. Another gorgeous shot of your adorable niece. I love that they are about the same size. what an adorable photo, deb! 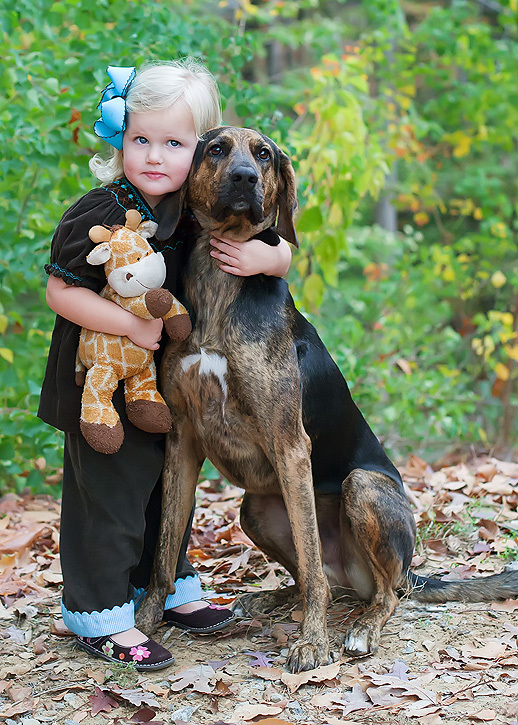 I can't decide what's cuter: the dog, the girl or the giraffe! So sweet! Is Charlie your dog? Deb, that is the sweetest picture, ever! I LOVE this Deb!! So sweet! Oh my goodness. What a cutie! Perfect catch lights in those big blue eyes too! This photo is so great! Just love it! What a great portrait! Beautiful. Ok, Is it possible for a picture to be too darn cute?! This is darling, Deb! You have outdone yourself with this shot. Just gorgeous. Aw... that is the cutest! Wow but that's a big dog. I also love your niece's name. So cool..
You've got some very cute faces in this one. Great job. Oh Deb, this photo. Priceless. Oh my gosh. Love this! This photo is so perfect! I absolutely love it! I'm melting when I see pics of kids and dogs.. lovely!